David and Jean Mehers were originally intending to build an extension at the side of their three-bedroom home in Bury, Greater Manchester, but had limited space. 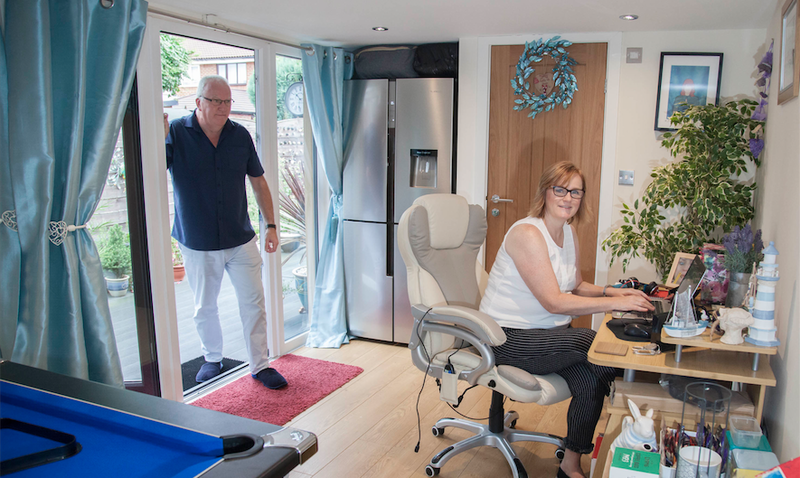 A garden office and leisure room turned out to be the perfect option to house what is now a luxurious games room complete with a giant American-style fridge-freezer, pool table, sofa-bed and plush office space. The 4.5m by 6.5m garden room, complete with fully fitted toilet, doubles up as a private office space for Jean’s demanding career in the retail industry. 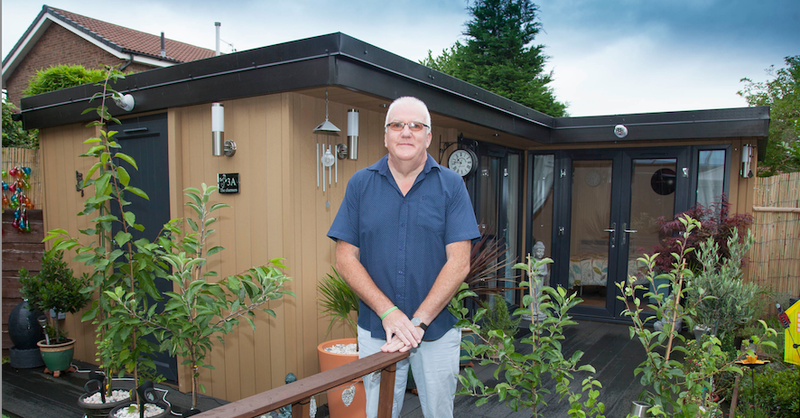 The couple discovered Rubicon Garden Rooms while on a day trip to Chester, said David, 56, a retired prison officer. The garden building benefits from wooden flooring, outdoor decking, spot lighting inside and out and an aesthetic canopy over the doors. In addition, the Rubicon Garden Rooms team fitted a self-contained store room at the end of the garden room to meet all the couple’s storage needs. “It’s been a fantastic addition to our home. I go down there and play pool and chill out,” said David. “We use the room when our kids come up and it means they can all stop over. There’s a pool table in there and it’s a space for chilling out. “It’s a pretty big room but we don’t feel we’ve really lost any of the garden at all. Rubicon built decking around the room and so we all sit out there during the summer and eat and drink. It’s lovely. The couple have four children and four grandchildren. One of their sons, Robert, 29, is in the Army Rifles regiment, and lives in Aldershot. The new garden room has offered the family another space to entertain when the family comes to visit. “It means my son and his wife and their children have their own private, personal space when they come to stay,” said David. David admitted he did do his homework prior to deciding on a garden room and hasn’t been disappointed. “I did a lot of research on Google before choosing a supplier and visited two other companies but wasn’t impressed,” he said. “John did everything he said he would do and when he said he would do it. A very polite group of lads came out and got stuck into the job immediately. They tidied up after themselves every day, we couldn’t have asked for anything better. “The build itself took around four weeks from start to finish. They travelled from the Chester area everyday but were never late and always turned up when they said they would. They brought their own toilet which was great because it meant they didn’t have to keep asking to come inside the house all the time. “I’ve already recommended two people, one of which is going ahead with a purchase, I cannot speak highly enough of them.